This application has failed to start because its side-by-side configuration is incorrect. Please see the application event log or use the command-line sxstrace.exe tool for more detail. With this code you can avoid client-area resizing, but still need to paint icon and caption. Torbins — that doesn’t work properly for me, which is why I never brought it up. What’s your set up? (Thinking about the Delphi and Windows version in particular). Interesting, thanks (I’ve wrapped your code in sourcecode tags to the formatting). An important benefit is that you can then use pretty much the same custom drawing code across Win2000, XP, Vista and W7, right? That said, when I recompile with D2007, there’s painting issues that I don’t get with your D2010 version. Separately, what’s the rationale of your demo not using the DrawThemeTextEx API? 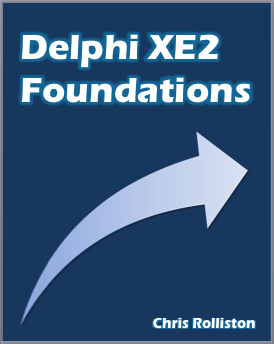 I do not have Delphi 2007, and in Delphi 7 everything works fine. DrawAlphaText is much simpler in use then DrawThemeTextEx – ideal solution for a demo. It’s a bit weird – on some compiles it works, on others maximising and restoring the window leads to the border not being painted correctly (patches of white). Also, there are ‘ghost’ close/maximise/minimise buttons — click and hold just below the respective ‘real’ button, and the ghost one button will appear. White patches I saw only a few times. And also there were black ones in the client area. May be it will be better to always redraw entire frame, except the client area. I have updated my demo. Have you noticed, that a call to DwmSetWindowAttribute reduces borders size when we have bsSingle? The bsSingle issue is the same one I noted was the case for my more long-winded method. You’ll find the same issue with any non-sizeable border style (bsDialog, bsToolWindow), and the ‘fix’ is the same – you have to change the EXE’s minimum sub-system version. Disappointingly though, even that doesn’t fix the ghost buttons, at least for me. With respect to the black, if you’re talking about the black flicker, then I think that’s inevitable whatever you do – ‘even’ Microsoft apps like Word 2007 suffer from it (try resizing a Word window – or for that matter, any ribbonised MS app – on a low-powered laptop that’s one or two years old. It’s not a pleasant user experience!). In fact, leaving customising the title bar aside, you can create this flicker by just setting GlassFrame.Bottom to 1 and GlassFrame.Enabled to True. I do find it a bit odd though that one of the ‘selling’ points of the DWM is that it kills flicker, yet doing anything ‘custom’ to the glass frame immediately creates one kind of flicker that you just can’t avoid. I mean borders visually become smaller. And once you have commented DwmSetWindowAttribute they restore their normal size. That is the issue I was talking about I think. The problem is that the DWM draws the frame as if the window itself were a bit smaller that it actually is. I get the ghost buttons on both of the demos here (the Custom Title Bar Test and Torbins demo), compiled on Delphi 2010 and Win7 x64. I’d love to get rid of them! Definitely, there is potential for improvement in my demo. I also have some graphical artefacts. Looks like some additional messages should be hooked, but which ones? According to documentation WM_NCPAINT and WM_NCCALCSIZE should be enough.